What could be more menacing than a tiny baby squirrel? Literally anything — or so you might assume. Turns out, this little one actually gave somebody quite a scare. 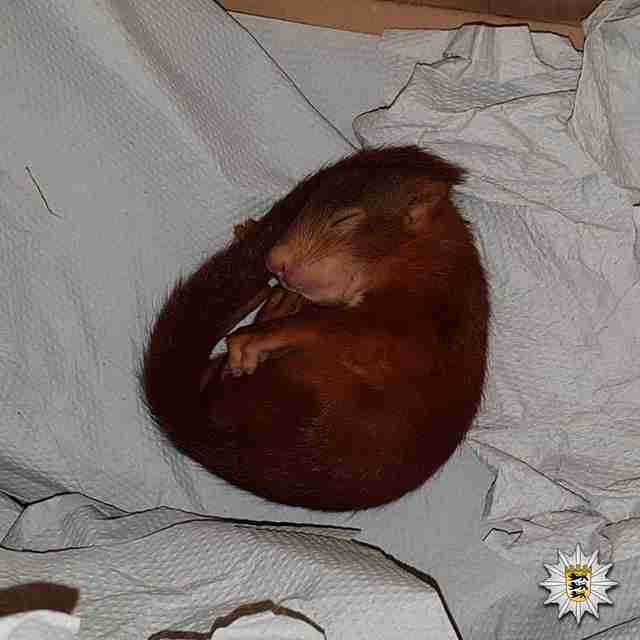 On Thursday morning, police in the town of Karlsruhe, Germany, were contacted by a man in the throes of an unusual "emergency." While out and about, a persistent animal had evidently taken special interest in him, and he wasn't taking it well. Here's how authorities paraphrased the man's distress call: "Help, I'm being followed by a squirrel!" A patrol car was dispatched to the spot, and sure enough, officers found the caller was indeed being chased by the fluffy-tailed creature. 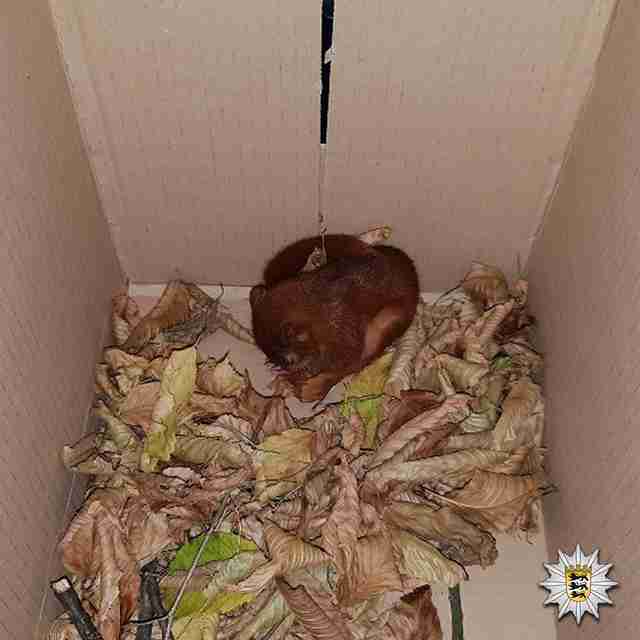 Fortunately, they were able to intervene — capturing the man's pursuer and placing her in a box for safekeeping. Tuckered out from all the running, the squirrel promptly fell asleep. But, as it turns out, she was the one who needed help. 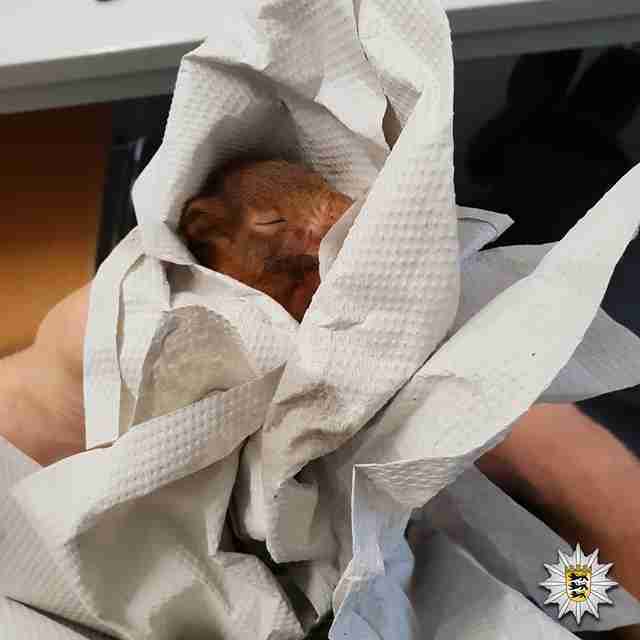 Police believe the baby squirrel had become separated from her mother and, as is sometimes the case, instinctually fixated on the man as her replacement parent. Apparently, the person she chose read the situation somewhat differently. "He was certainly feeling a bit threatened,” Christina Krenz, spokesperson for the police, told The Guardian. Thankfully, the officers who stopped the squirrel weren't so intimidated. 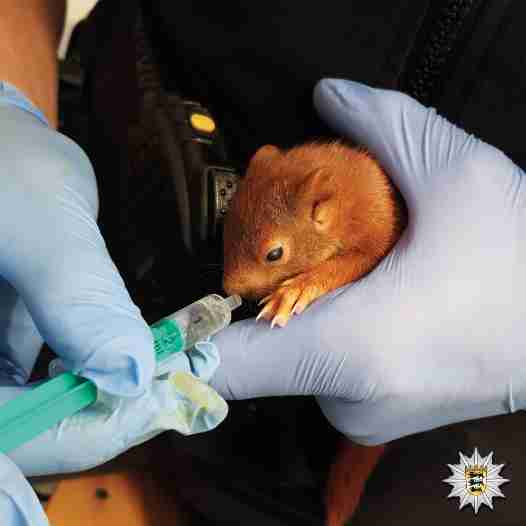 After a brief time in the police's custody, the baby squirrel was turned over to wildlife specialists to get the care she needs as an orphan. "We wish the little one all the best!" authorities wrote. Never before, perhaps, has a case been closed so cutely. Read more on what you should do if you find a baby squirrel on the ground.